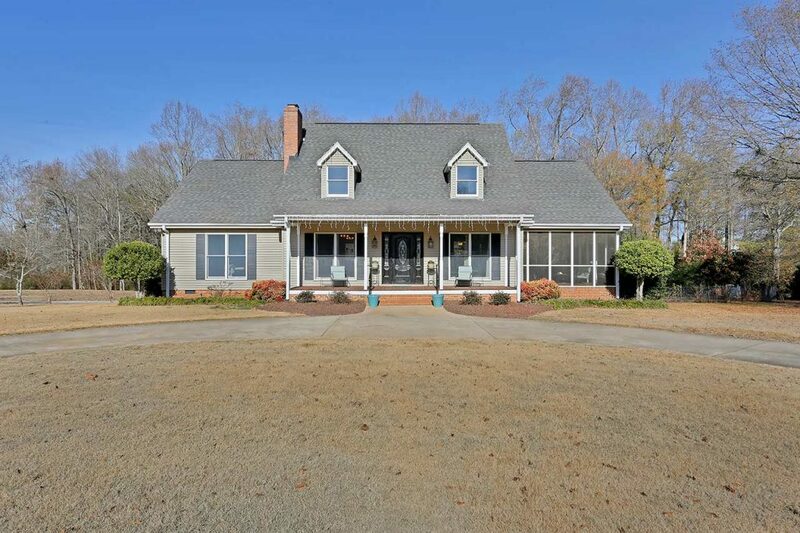 Cape Cod style home with 4 beds and 2.5 baths sitting on 1.42 acre lot. Beautiful hardwood floors throughout the main level. Good-sized living area with a brick fireplace and large windows allowing plenty of sunshine in. Well-presented kitchen featuring a center island, window over sink for natural light source, appliances, and lots of storage. Dining room with large windows overlooking the backyard and open to the kitchen. One bedroom located on the main level and could also make a great office or playroom. Large master bedroom located on the main level featuring a full bath with shower and walk-in closet . Lovely screen porch/sunroom perfect for enjoying cool evenings. Finished basement perfect for an office or man cave. A great size laundry room on the main level. Good sized back deck overlooking the pool. Stunning in-ground pool with lush surrounding views. Don’t settle for less than this well maintained 4 bedroom and 2.5 bathroom that offers an idyllic family lifestyle with plenty of space for your family to come together or spend time apart. Walk up onto the large front porch and enter into the foyer area to see the spacious great room featuring a brick fireplace adding timeless elegance into the room. Inside, the home presents a generous floor plan comprising of an open dining room/kitchen, great room, finished basement, 2 ample bedrooms on each level, in-ground pool, screened porch and back deck for entertaining. Immaculate hardwood floors complement this unique Cape Cod style home with plentiful natural light flooding in through large windows creating bright contemporary living.